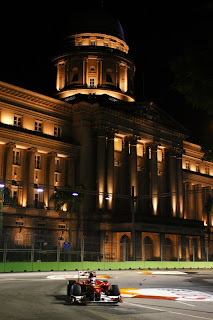 It was in June 2007 when I first had a taste of visiting a country outside the Philippines - that’s Singapore. I fell in love with the country’s culture, food, people, educational system, city scape, transportation system, technology and the arts! I have never visited Singapore since (and haven’t visited any other country just yet) so I wasn’t able to see the latest development the country has done, and never witnessed any preparation for the Grand Prix and more so the event itself. 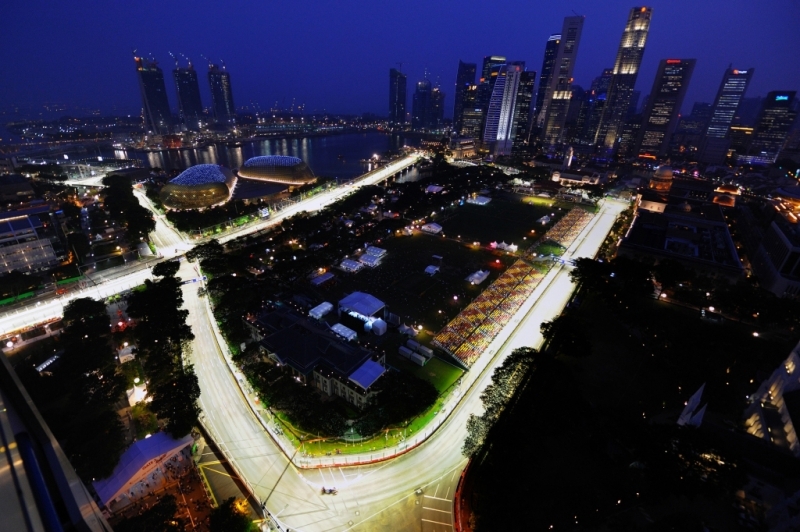 Singapore was honored to have hosted the first night race event in the history of Formula One. In 2008, the Grand Prix Season Singapore was a huge success, embraced by race enthusiasts and attended by thousands of people from across the globe. The race was done on a street circuit in a small country, almost equivalent (or even smaller) than the size of Metro Manila in the Philippines. 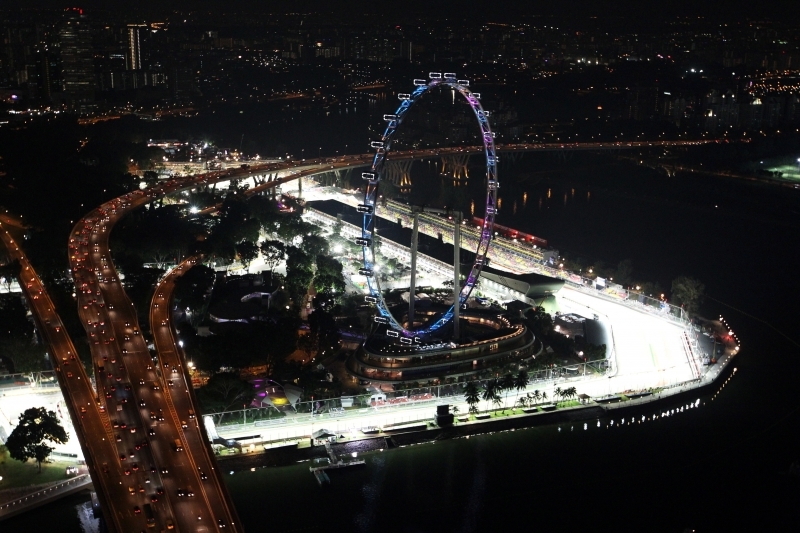 Running the race in Singapore’s skyline provided a truly magnificent experience for all the drivers and attendees. 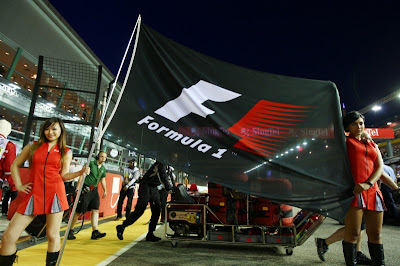 Announced in May 2007, Singapore was granted a 5-year contract deal by Berni Ecclestonee (Formula One Management CEO), Ong Beng Seng (Singapore entrepeneur), and the Singapore Tourism Board. 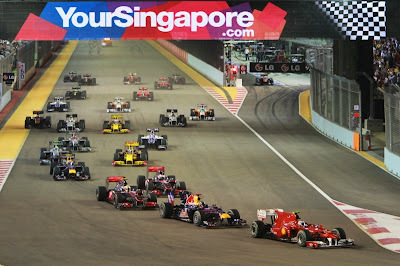 Grand Prix Season Singapore was a huge hit in 2008 that it became a buzzword and one of the most awaited events in sports & entertainment right in the heart of Southeast Asia. 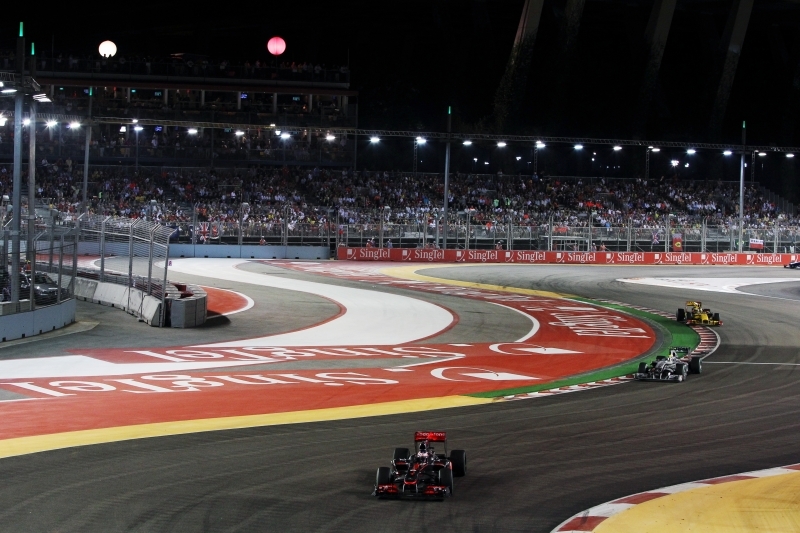 Holding a car race at night could be so challenging and enthralling. But for Grand Prix Singapore, using the public roads around the Marina Bay area, the race circuit uses a magnificent lighting system to make the event look like happening in daylight. 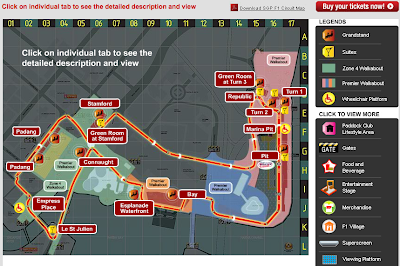 Here you will find below the Circuit Map ofthe 2011 Formula 1 Singtel Singapore Grand Prix. Hover your mouse and click on the individual red tab to see the detailed description and the panoramic view of the area. This will give you a detailed view of what to expect and what could happen on the race day. This is an example of how it looks like after clicking a red tab. You can also find Related Photos with people around that give you a feel of the venue/ area. This section also gives you the Seating Plan & Zone Access for you to study where to enter and exit once you're there. 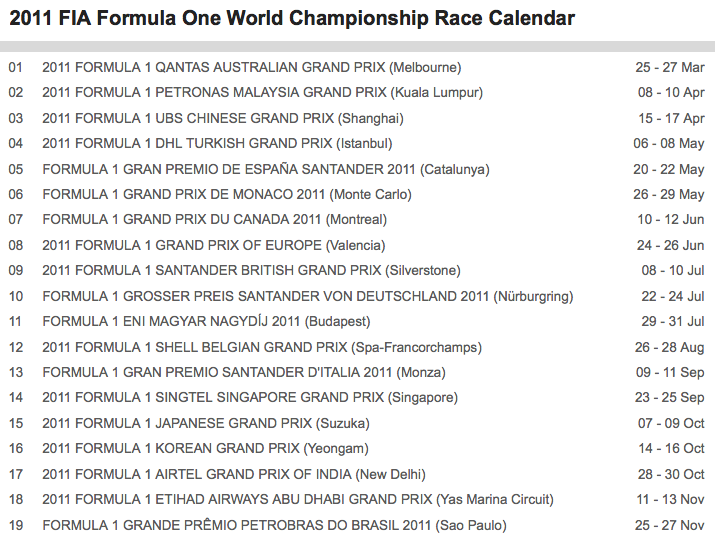 The image below shows the Race Calendar of FIA Formula One World Championship for 2011. In #14 is what we look forward to - the Formula 1 Singtel Grand Prix in Singapore. It's also very coincidental because the #14 is also close to my heart (besides the #7 being my favorite number) because my birthday is June 14. 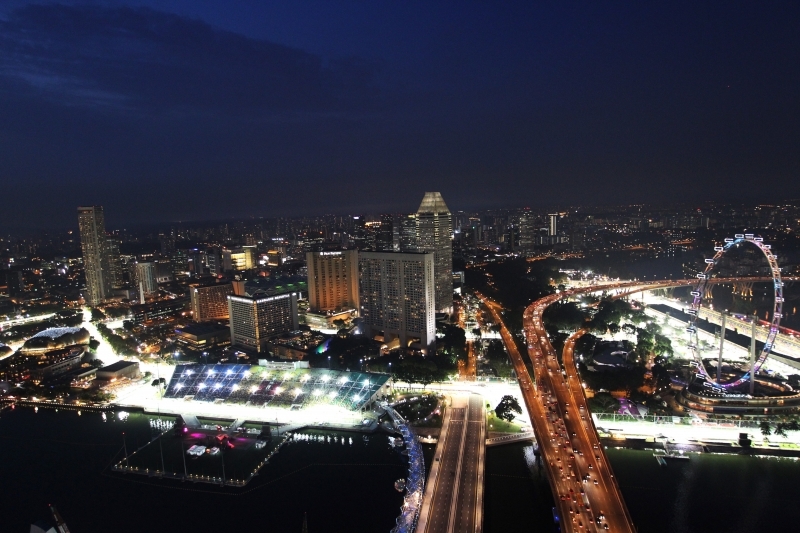 The video below shows photo highlights of the inaugural Singapore Grand Prix in 2008, the first-ever Formula 1 Race to be held at night. Fernando Alonso and Renault took their first win of the season in a thrilling race. The image below shows you the full race circuit map with twenty-three (23) turns, recommended km/hr speed and the gear number. 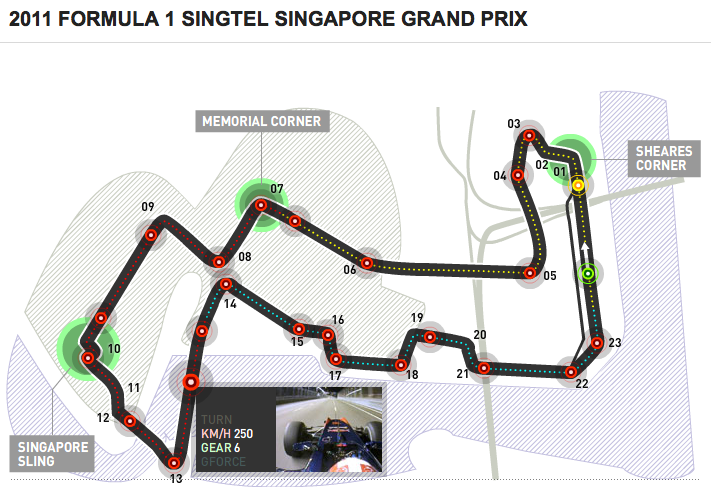 F1 race drivers must have been really preparing for this mentally & physically, studying their routes and their strategies as they hurdle in each lap and turn. I was surprised to know that Singapore had a Grand Prix event in 1966. The video below just proves that. Interesting, isn't it? 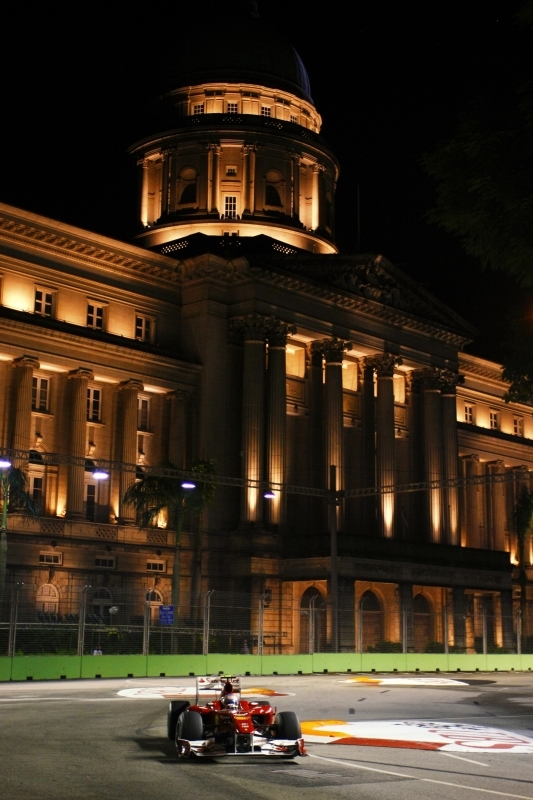 It was held at the old upper Thomson Road. 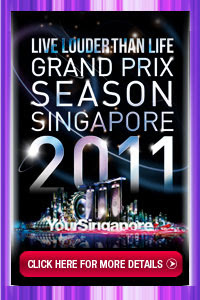 It used to be the most anticipated motor sport event in Southeast Asia during those times. 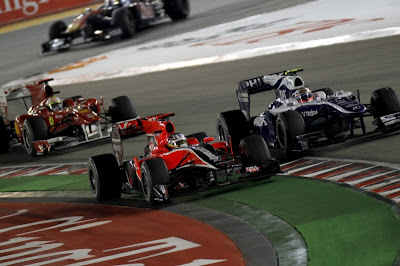 A lot of car race enthusiasts and fans have put the 2011 Formula One Singtel Singapore Grand Prix on their calendar early this year. Tickets to the most anticipated sporting and entertainment extravaganza are selling like hotcakes! You can purchase a single ticket or you can also do group booking to get more discounts. You can check out updates on the availability of tickets here. 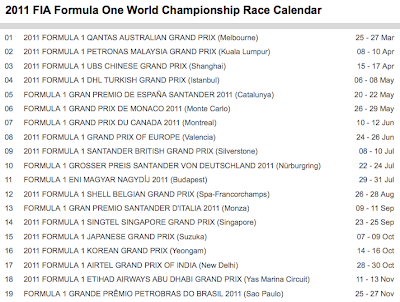 So when you buy your Grand Prix Singapore tickets, you can already book your plane ticket too. Check for special packages thru Singapore Airlines.